Find the Perfect Hosting Provider on your Doorstep! Identify a Local Web Hosting provider - see below for a map displaying the locations of numerous Web Hosting companies and the data centers in which they keep their servers. Here you can find reviews of Local Hosting providers, conveniently organized by continent and country. The main reason most people opt for Local Hosting is in order to have locally-based technical support. In stressful situations (like when your eCommerce website goes down), it can be comforting to know that your Web Hosting provider is within the same jurisdiction and from the same culture as yourself. You may prefer Local Hosting because it is good to support a local business, or conversely you may wish to eschew large multi-national Web Hosting companies. Having a definitive point of contact, like an office in your nearest city, provides a feeling of safety and stability. There is also debate among Search Engine Optimisation (SEO) experts as to the effect Local Hosting has on your search engine ranking. For example, some SEOs hypothesise that a German website with a .de domain hosted on a server in Germany may rank better on Google.de results pages. This is by no means proven however. Reliability - look for 99.9% uptime guarantees, and compensation if your website goes down. Any time that your website is 'down' potentially costs you visitors and money. 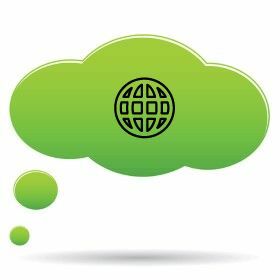 Bandwidth - how quickly can information travel in and out of your server? If you are expecting a lot of traffic you will need a lot of bandwidth. Hardware - is the Local Hosting provider's server capable of effectively hosting your website? Is it maintained well and kept in a well-ventilated place? Storage - ensure you have enough space to store and grow your website. It is better to have more than enough, than to have your growth stymied by lack of storage. Security and backups - how often is data backed up, and what measures are taken to prevent malicious people and programs from affecting your site? Monitoring - how regularly does the company inspect their servers for potential issues? Prevention is preferable to cure, and contributes to high uptime statistics. Technical support - as this is one of the main benefits of local hosting, ensure that the provider's technical support staff are helpful and knowledgeable. 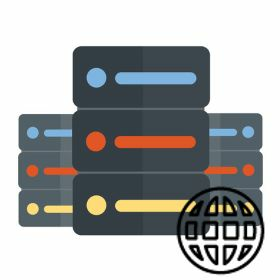 Is Local Hosting for me? Search engines such as Google and Bing take hundreds of parameters into consideration for their algorithms, which lessens the potential positive effect on your site's SEO - particularly as you can actually set a target demographic in the search engine webmaster tools. Additionally, many companies have technical support teams spanning multiple locations and/or 24/7 support - guaranteeing that wherever in the world you are and at whatever time, someone will be available to help you. For these reasons, we suggest looking more closely at which type of Web Hosting you need, instead of the location, when deciding on your Web Hosting Solution. Regardless, if you feel that Local Hosting is the way to go for you, and you would like the peace of mind that comes from living in the same region as your website, use the button below to head back to the top of this page and find yourself the perfect Local Hosting solution. Get your Local Hosting plan today! Don't forget you can use our Hosting Wizard and Knowledge Base for more ideas, or Compare Hosting plans side by side - whatever you decide, Web Hosting Search is here to help you find the best deal!